Also known as the Place du Carrousel, this part of the garden used to be enclosed by the two wings of the Louvre and by the Tuileries Palace. In the 18th century it was used as a parade ground for cavalry and other festivities. The central feature is the Arc de triomphe du Carrousel, built to celebrate the victories of Napoleon, with bas-relief sculptures of his battles by Jean Joseph Espercieux. The garden was remade in 1995 to showcase a collection of twenty-one statues by Aristide Maillol, which had been put in the Tuileries in 1964. The elevated terrace between the Carrousel and the rest of the garden used to be at the front of the Tuileries Palace. After the Palace was burned in 1870, it was made into a road, which was put underground in 1877. 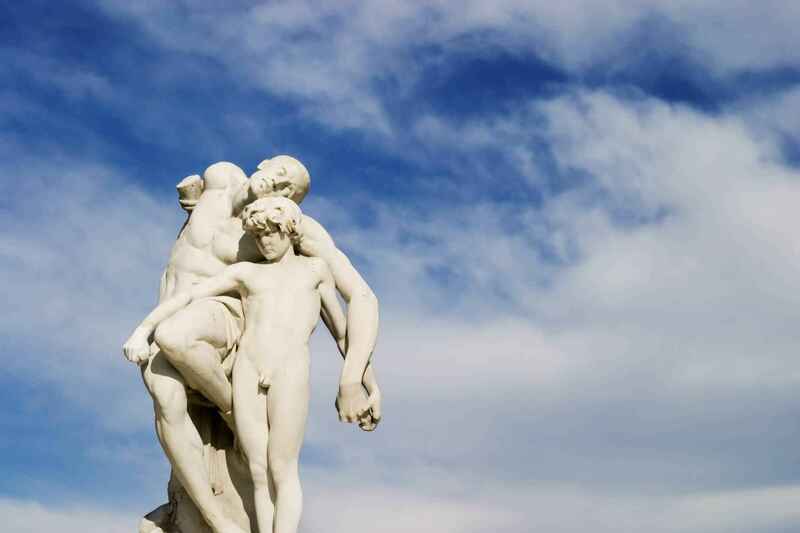 The terrace is decorated by two large vases which used to be in the gardens of Versailles, and two statues by Aristide Maillol; the Monument to Cézanne on the north and the Monument aux morts de Port Vendres on the south. Two stairways descend from the Terrasse to the moat (fr:fossés) named for Charles V of France, who rebuilt the Louvre in the 14th century. It was part of the old fortifications which originally surrounded the palace. On the west side are traces left by the fighting during the unsuccessful siege of Paris by Henry IV of France in 1590 during the French Wars of Religion. Since 1994 the moat has been decorated with statues from the facade of the old Tuileries Palace and with bas-reliefs made in the 19th century during the Restoration of the French monarchy which were meant to replace the Napoleonic bas-reliefs on the Arc de Triomphe du Carrousel, but were never put in place. The Grand Carré (eng: The Large Square) is the eastern, open part of the Tuilieries garden, which still follows the formal plan of the Garden à la française created André LeNôtre in the 17th century. The eastern part of the Grand Carré, surrounding the round basin, was the private garden of the King under Louis Philippe and Napoleon III, separated from the rest of the Tuileries by a fence. 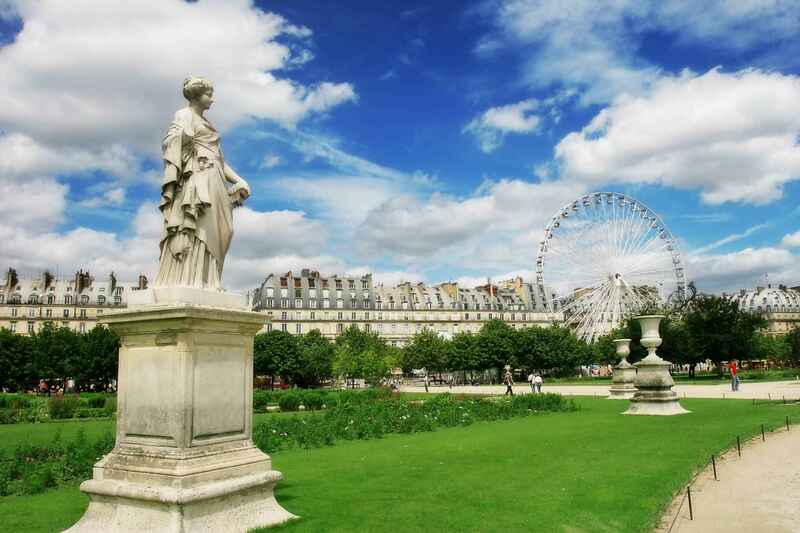 Tuileries Palace | eTips Inc.